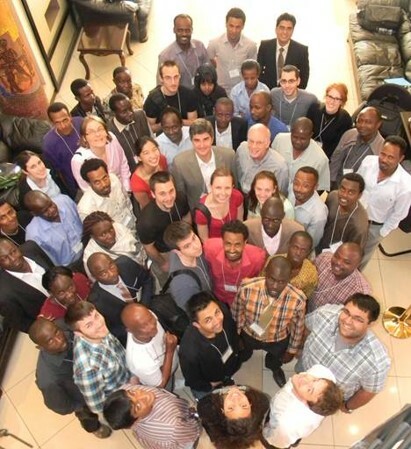 JUAMI 2012 was held in Addis Abeba, Ethiopia, co-hosted by Addis Abeba University (AAU). Based on an initial fact-finding trip by the later founders of JUAMI, the topic of Materials for Sustainable Energy was identified as a high priority for the region and became the focus of the school. JUAMI 2012 served 55 students, ?? From the US, ?? From Africa (predominatly Eastern Africa), and one from Germany. Tutorials and frontier research seminars were delivered by ?? Instuctors and lecturers from the US, Europe, Africa, and the US.